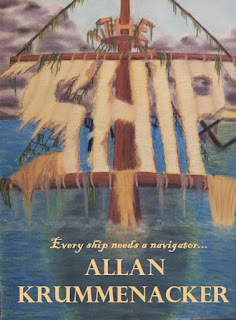 That's right, my second novel "The Ship" is now free for for all Kindle users. 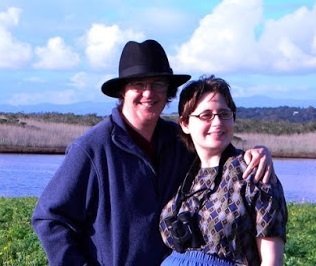 This 5-star paranormal/mystery continues the story of Cassandra Elliot and Julie Cloudfoot, the two young women who fought alongside Alex and Veronica in my first novel "The Bridge"
These two young ladies have fallen in love and have come to Santa Cruz to see if their new relationship can work, as well as bury Julie's uncle who had been guarding the bridge as part of his duties as the family shaman. And Now For Something Completely Different...An Explanation About Why I Enrolled in Kindle Unlimited! 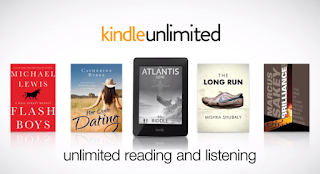 Some months back, I talked about Kindle Select and Kindle Unlimited and how I did not feel comfortable about having my e-books available exclusively in Kindle form. For those unfamiliar with what was discussed, here's a quick explanation. In order to be part of Kindle Select and Kindle Unlimited, your book cannot be available in any other e-book format (Nook, Sony, Apple, etc.). This of course means your the e-version of your book cannot be up for sale through Smashwords, Nook, and other e-formats. This did not rub me the right way at the time, but since then there as been no activity for either of my books through Smashwords, Barnes and Noble, or other outlets besides Amazon in spite of a lot of promoting on my part. 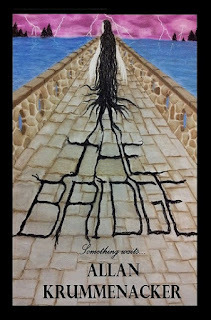 "The Bridge", book one in the Para-Earth Series for FREE for ALL Kindle users through Amazon. That's right, you can enjoy this 4 and 5 star tale for FREE. This paranormal/mystery will introduce you to ghosts, psychics, and a whole new vision of parallel realities unlike anything you've ever read before. So grab a copy for yourself and tell everyone you know so they can take advantage of this 2-day opportunity, they'll thank you for it. Book 2 in this series will be available for FREE next weekend so you'll have plenty of time to enjoy "The Bridge" and see what happens next. "The Ship", Book 2 of the Para-Earth Series, Is Now FREE On Kindle Unlimited! That's right Kindle Unlimited subscribers can now get "The Ship", book two int he Para-Earth Series for FREE through Amazon. This book has been given 5-star reviews and is available to you now through Kindle Unlimited. This paranormal/mystery continues the story of Cassandra and Julie, two young women who fought alongside Alex and Veronica in my first novel "The Bridge". The two have fallen in love and have come to Santa Cruz to see if their new relationship can work, as well as bury Julie's uncle who had been guarding the bridge as part of his duties as the family shaman. *Special announcement for Kindle Unlimited Subscribers* You can now get "The Bridge", book on in the Para-Earth Series for FREE through Amazon. That's right, you can enjoy this 4 and 5 star tale for free as part of your Kindle Unlimited subscription. This paranormal/mystery will introduce you to ghosts, psychics, and a whole new vision of parallel realities unlike anything you've ever read before. So why not check it out today and enjoy a really exciting summer read. Plus when you're done you'll find book 2 in the series, "The Ship", is also available through Kindle Unlimited.